Mark Borsuk was quick to embrace opportunities to pursue collaborative research and teaching with his new colleagues after joining the faculty of the Pratt School of Engineering in 2016. The Associate Professor of Civil and Environmental Engineering teamed up with faculty from the Law School, Sanford School of Public Policy, Nicholas School of the Environment, and Pratt to explore shared interests in risk analysis, decision-making, and climate change. He received an Intellectual Community Planning Grant (ICPG) for the Duke Project on Risk and Resilience with Jonathan Wiener, Christine Hendren, Tyler Felgenhauer, Nita Farahany, Buz Waitzkin, and Lori Bennear, and a Research Collaboratory grant on the Decisions, Risks, and Governance of Geoengineering with Wiener, Felgenhauer, Billy Pizer, and Drew Shindell. Borsuk is also involved in a Bass Connections project, Decisions on Complex Interdisciplinary Problems of Health and Environmental Risk (DECIPHER). Now in its second year and focusing on drinking water quality, the project is currently led by Hendren, Borsuk, Wiener, Ryan Calder, Richard Di Giulio, Priscilla Wald, and graduate student Kathleen Burns. 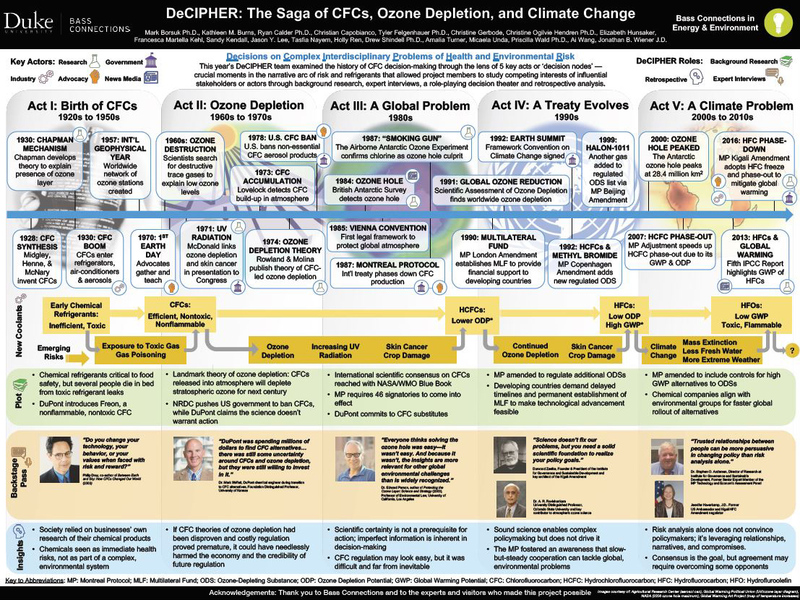 DECIPHER will continue next year with a focus on the risks and benefits of climate geoengineering. Recently he reflected on some of the impacts of his involvement with these groups. Below are excerpts from his remarks. The Duke Project on Risk and Resilience ICPG, along with Catalyst funding from the Nicholas Institute for Environmental Policy Solutions, led to an NSF Innovations at the Nexus of Food, Energy, and Water Systems (INFEWS) proposal submitted in September 2018. The Risk ICPG also contributed to an NSF Statistical and Applied Mathematical Sciences Institute (SAMSI) Year-Long Program Proposal on “Games and Decisions in Risk and Reliability,” which was selected for funding and will start in August 2019. The Geoengineering Collaboratory is leading to an NSF Decision, Risk, and Management Sciences proposal, which will be submitted in January. The Geoengineering Collaboratory led directly to a day-long session at the Society for Risk Analysis Annual Meeting in December 2018. The Duke team proposed, organized, and participated in this session [see part 1 and part 2], which included a number of leading researchers in geoengineering, thus greatly extending the Duke team’s professional network. Posters on the team’s preliminary geoengineering work were also presented at the American Geophysical Union (AGU) Annual Meeting in December 2018, further extending the team’s reach. The Risk ICPG supported a series of campus-wide events. These included several Risk Watering Holes and Head-to-Head Discussions on issues of risk analysis and policy from diverse perspectives. The events generated a lot of participation, including more than 30 faculty speakers and many more attending faculty, staff, and students. The Geoengineering Collaboratory has already led to one submitted manuscript and two more in preparation. Two publications are in preparation as a result of the ICPG and Catalyst funding. 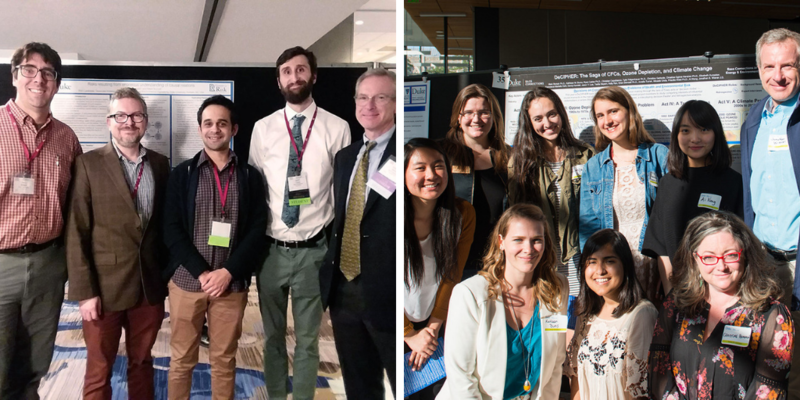 To support student networks, the Risk ICPG provided funding support to two students to attend professional meetings and present their risk-related work. The group has also been coordinating with an undergraduate student group interested in organizing a “Risk Hack-a-Thon” in addition to other student activities. 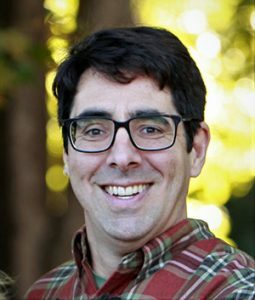 Duke student and postdoc attendance at the Society for Risk Analysis and AGU annual meetings was paid in part from the Geoengineering Collaboratory.